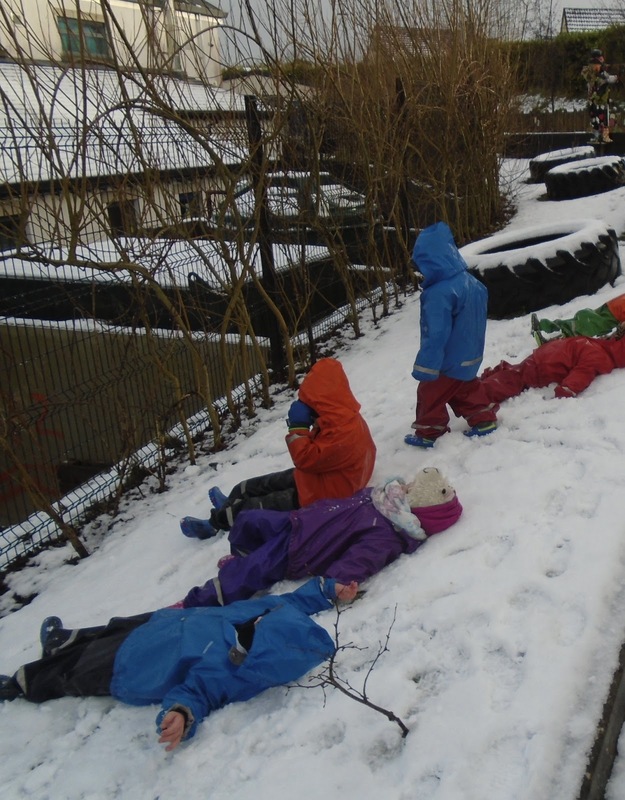 Learning for Life: 'Snow' such thing as bad weather! 'Snow' such thing as bad weather! Bear Woods in the Snow. Every week we have an outdoor day when the class spent the majority of the day outdoors no matter what the weather and this week it was a cold, icy and a little snowy - not very deep or fluffy snow but snow none the less. 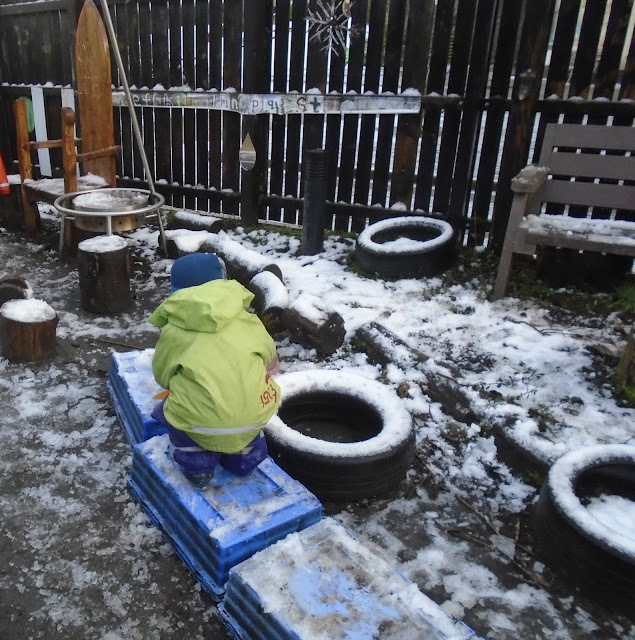 The children enjoyed exploring the playground and making mini snowmen, balancing on the crates and tree stumps even though they were slippy and pulling each other on the plastic sleds. 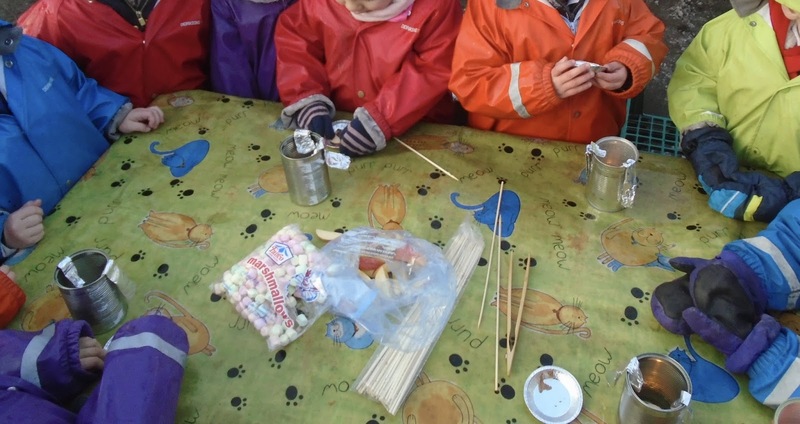 Instead of a big fire we did some tin can cooking, which I first heard about from Martin over at Highway Farm Activity Centre, the children enjoyed dipping apple and mini marshmallows into the melted chocolate - next time we'll use cocktail sticks instead of skewers. Before heading inside for a story and a lovely hot dinner, some of the children who were still in their rain gear, headed up the hill above the nursery to visit Bear Woods and make some snow angels on the grass. Wow! I really love the fact that your students spend the whole day outside regardless of the weather! 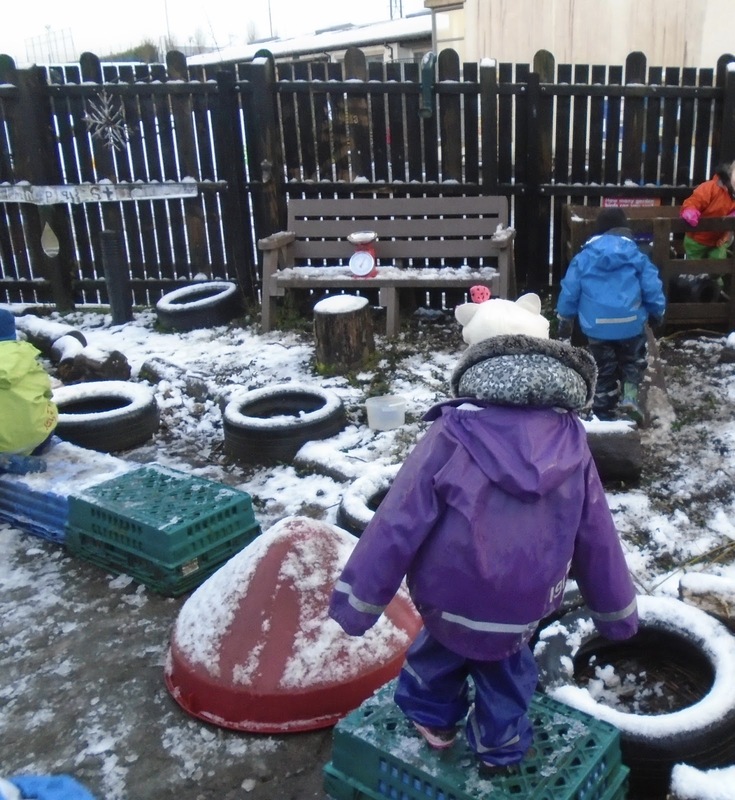 It's always possible to have fun outside as long as you are dressed appropriately, but I find so many of my students are reluctant to go outside when the weather is cold or wet. 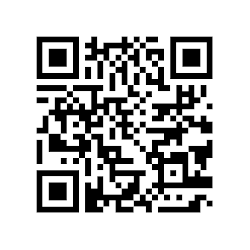 I think all of the engaging activities you had for your students (especially the tin can cooking!) must have helped your students enjoy their time outside. 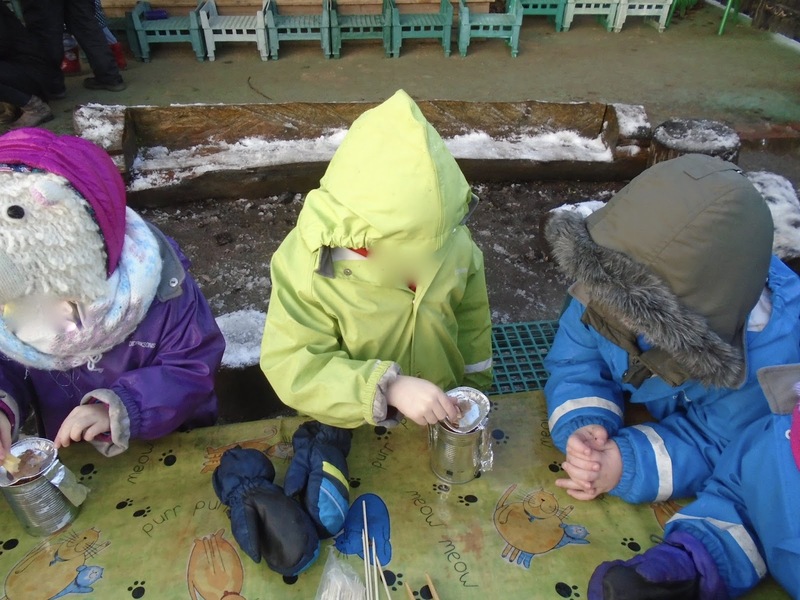 Do your students ever seem hesitant about going outdoors or engaging in any of the outdoor activities when their is cold/wet weather? What are some ways that you encourage them to explore? Hello Dominique, thanks for your comment. 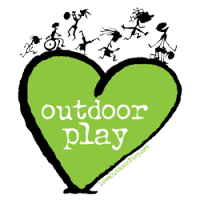 We have worked hard with parents over the past 10 years and we start our day outdoors no matter what and the children then come dressed appropriately - mostly! We do have a covered area so they don't have to be out in the rain or snow if they don't want to but at least they are all out in the fresh air. I found not having a choice or being in or out made a big difference too, some students will never chose to go out if there is a chance to be indoors. We do have lots of spare coats,, hats & gloves on offer too for those who feel the cold more or have thinner coats etc. This past week has been the coldest I have ever known in my 20 plus years of being in nursery and to be honest we had to come indoors after about 45 minutes as the wind was just too biting & I worried about children getting chilblains. 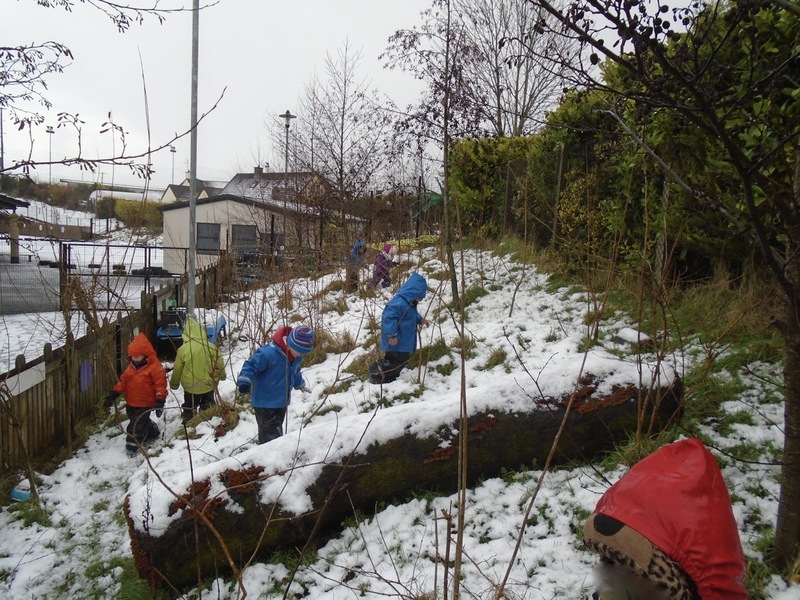 I think the fact that we have lots of activities outdoors of everyone to explore helps - so for those who want to just play in the forest area with sticks etc. it is perfect but we also offer more traditional resources like small world play, books and construction materials. My best advice is to build being outdoors into the daily routine and soon it becomes a habit for everyone - good luck!